Basically, the movie is 90 minutes of a sneaky Delilah trying to get to Samson's secret, who mostly plays coy, up until it was time of the reveal. 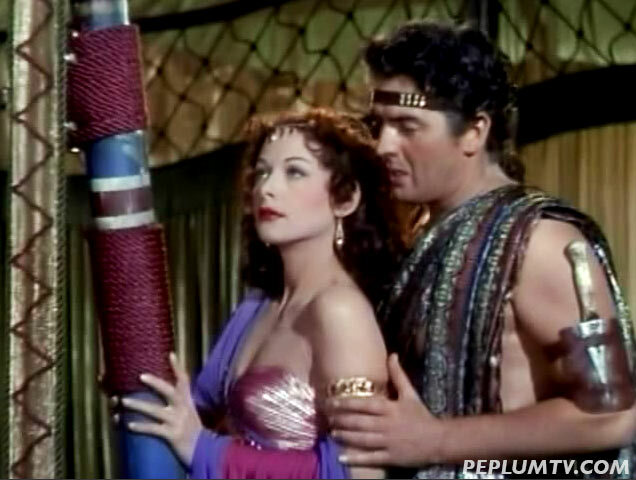 I like this film and it's entertaining but let's face it, Samson & Delilah is not a complex story and could have easily been told in a short story format. But Cecil B. DeMille toyed with audiences by having the two actors (sexually) flirt which each other for minutes on end.